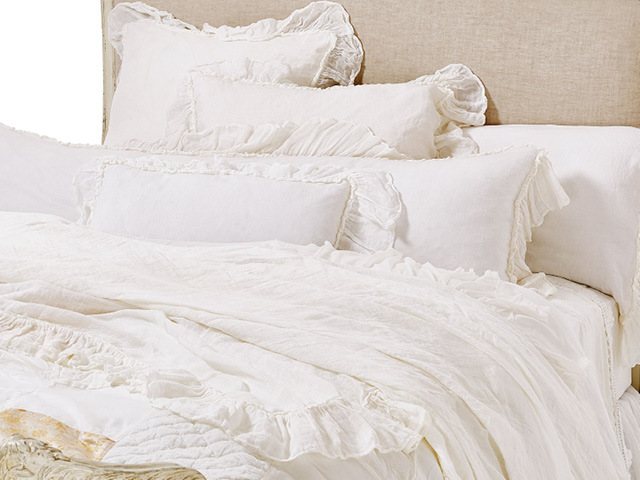 The pioneers of garment-dyed bedding, Bella Notte crafts a sustainably sound line utilizing low-impact fabrics and non-toxic dyes. From bedding, bath, and accessories, to tabletop linens, each piece is meticulously produced by local artisans in San Francisco. Available in a palette of soft and harmonious hues with a softly worn feel, Bella Notte's fabrics are part of the new evolution in textile production where toxic energy is eliminated and naturally crafted bliss is bountiful.